A perfect addition to your spider scene! This skull is all wound up in webs and has little spiders climbing all over it. Features light up eyes. Including web, full length is 19" x 6" wide x 6" deep. Requires 3 AG13 watch batteries (included). Light up Larva Skull ~ Love it! This is just what I needed to hang beside my upside down hanging cocoon man! The big red eyes slowly fade from bright to dim and stay on with the flick of a switch. 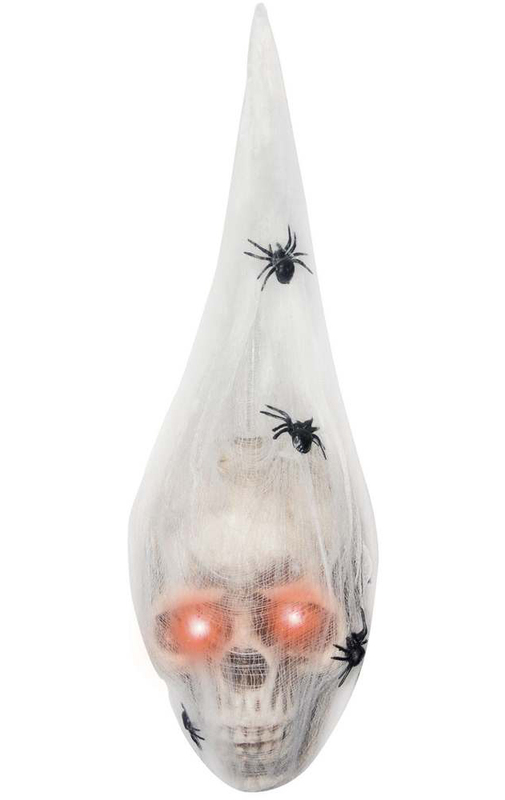 I plan to order another one or two before Halloween to put in my spider web cocoon man themed area of my haunted trail. Really pleased!